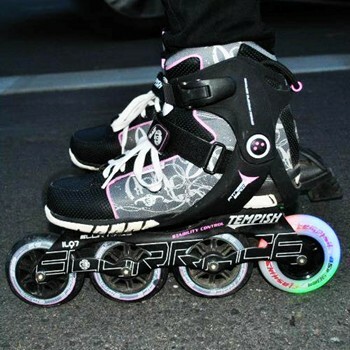 Tempish 80mm inline skates flashing wheels - The new 80mm light-up wheels for inline skates are just perfect for the Skate Night and Urban Skating. Available in blue and red. 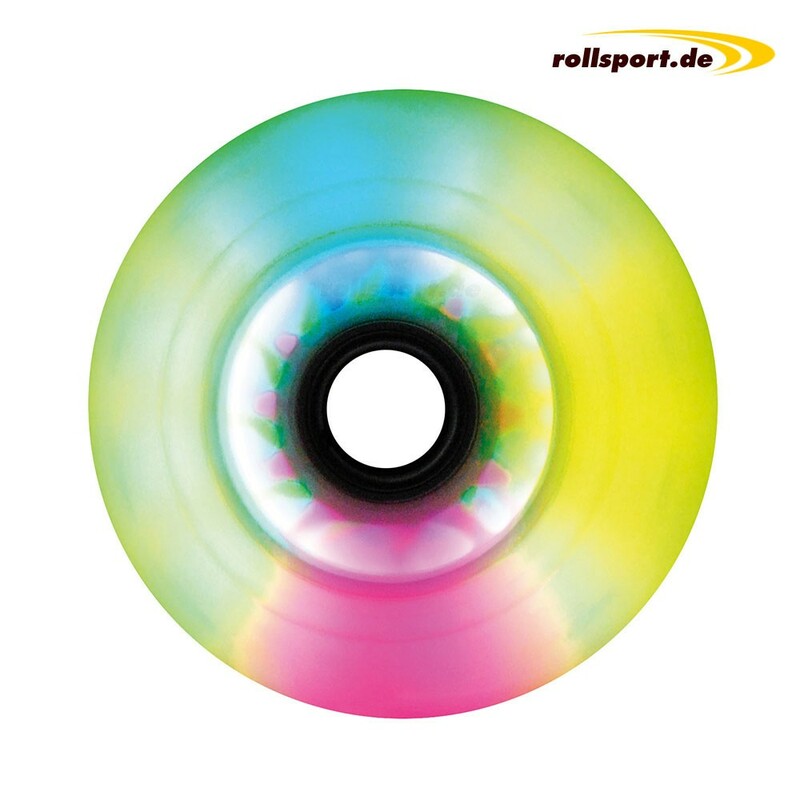 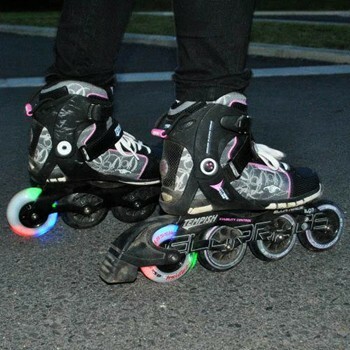 The new 80mm light up wheels for inline skates are the absolute hit. 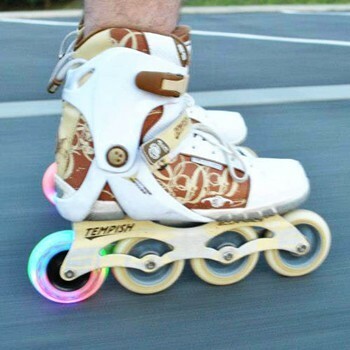 Especially in the big cities, the colored flashing wheels with colors scrolls on the skates are seen more and more often in the Skate Nights. 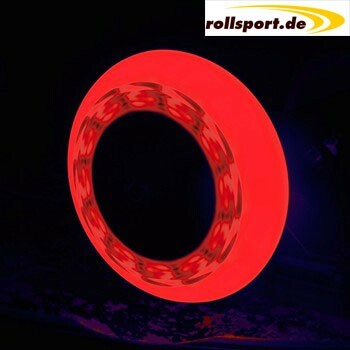 The light up wheels have not only an optically cool effect, but also make the skater more visible for all cars, tram, etc. 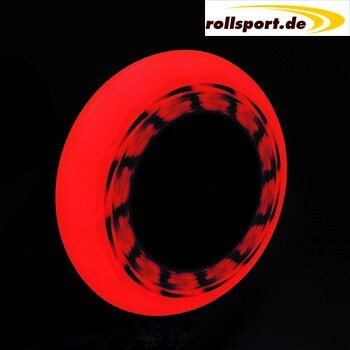 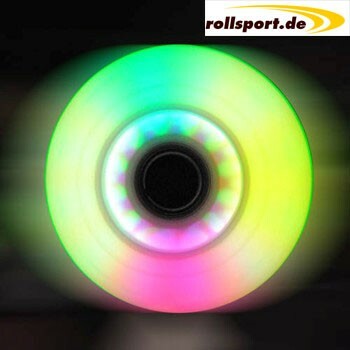 The modern inliner flashing wheels are available in blue, red, as well as in multicolor.